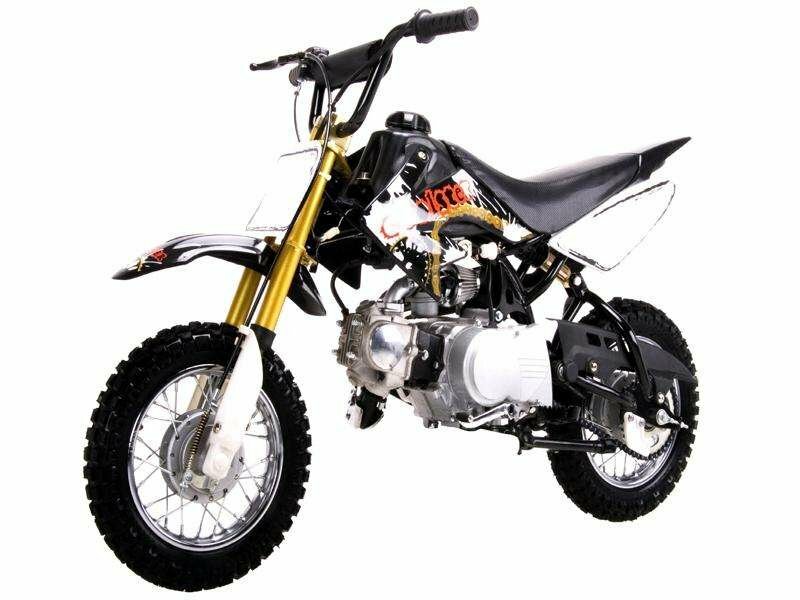 If you are looking for a safe, reliable and no learning curve dirt bike for your kid, The Coolster QG213A is the best bang for your buck. The Coolster QG213A is the only dirt bike in the market which comes with fully automatic transmission. No clutch, no gear, it is fully auto and your kid can immediately ride it and have fun from day one without worrying about learning how to use clutch and gears. The Coolster QG213A uses electric start while most other dirt bikes come with kick start, that is another great feature to help your kid to ride it as easy as possible. Almost same looking as Honda CRF50, but the price is only 1/4 or 1/5 of Honda CRF50, the Coolster QG213A is a steal! Metallic Red, Black, Blue, Green, Orange.